Cultural heritage and contemporary arts benefit from being showcased in events. Arts-related events are each unique in reflecting local culture; they may be therefore spontaneous (street art and so on) or planned (i.e. studio tours or arts festivals). 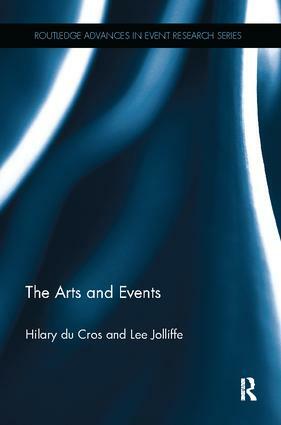 The Arts and Events explores the nature and complexity of managing arts events and fills a significant gap in the available literature. It investigates the history, development and management of arts events to offer much needed insight into creating economic, social and cultural capital. It therefore contributes to a greater understanding of how arts events can create a beneficial experience for the individual and the community as well as their future sustainable development. The title explores a broad range of events from around the globe including: inspirational events for building creative (social, cultural and human) capital; affirming events for encouraging links to cultural identity or heritage; pleasurable events that offer enjoyable recreational, leisure and touristic experiences; enriching events that create opportunities for personal growth and/or to sell products or experiences, and finally, celebratory events that enhance cultural diversity. This significant volume is a valuable source for researchers, policy-makers and managers of arts events around the globe.